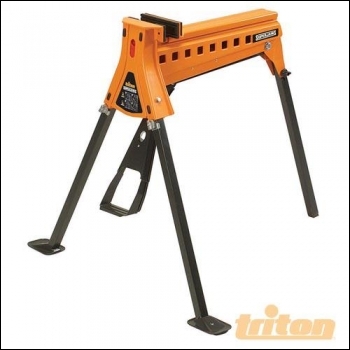 Triton SuperJaws provides hands-free clamping of material up to 956mm and a massive clamping force of up to 1000kg. Made from tough, powder-coated steel, SuperJaws holds anything from car parts and bicycles to timber and tubing. Dimensions: 980 x 1000 x 860mm.